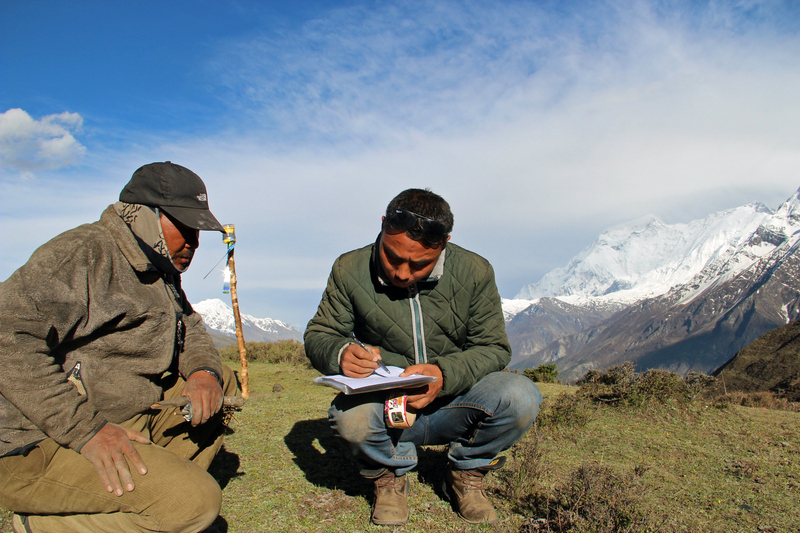 “Foxlight scared the hell out of snow leopard that night!” says Kunga Gurung, a yak herder from Manang, a remote village in the Himalayas of Nepal. Kunga, 48, is confident that Foxlight, an electronic wildlife deterrent manufactured in Australia, can deter snow leopards from his nighttime goth (corral). 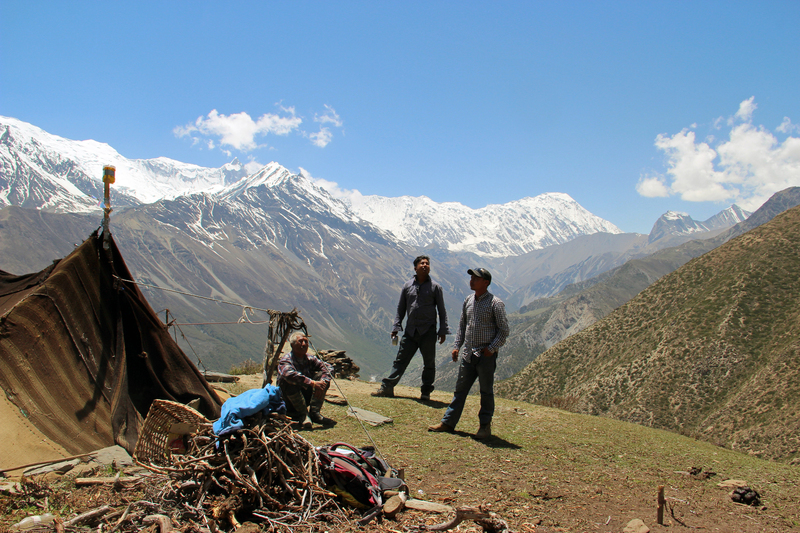 “This year let’s test-install Foxlights in Annapurna,” advised Rodney Jackson, director of Snow Leopard Conservancy, before I left the U.S. to conduct field work in Nepal. Twenty Foxlights donated by Ian Whalan (Foxlights International, Australia) traveled with me to Nepal. So far we have deployed three Foxlights and plan to install more soon. I was excited to install these specially designed wildlife deterrents that may offer a real panacea to mitigate people-wildlife (snow leopard) conflicts. I read about Foxlight with interest that the intermittently flashing colorful lights send a strong signal of human presence to wild predator, thereby instilling a behavioral response in them to avoid a potentially risky area. Snow leopard is considered notorious by herders as they, at times, enter poorly built or open corrals and raid young yaks and other livestock, often killing numerous animals. The market value of a well grown yak is over $1000 today! So, imagine a herder’s reaction when snow a leopard kills his yak. The electronic predator deterrents, if mounted properly, could be effective devices in keeping snow leopards away from highland corrals at night. It’s a nightmare for herders and farmers when snow leopards begin to frequent their corrals at night. Now with the deployment of predator deterrent devices, hope is raised among alpine herders. 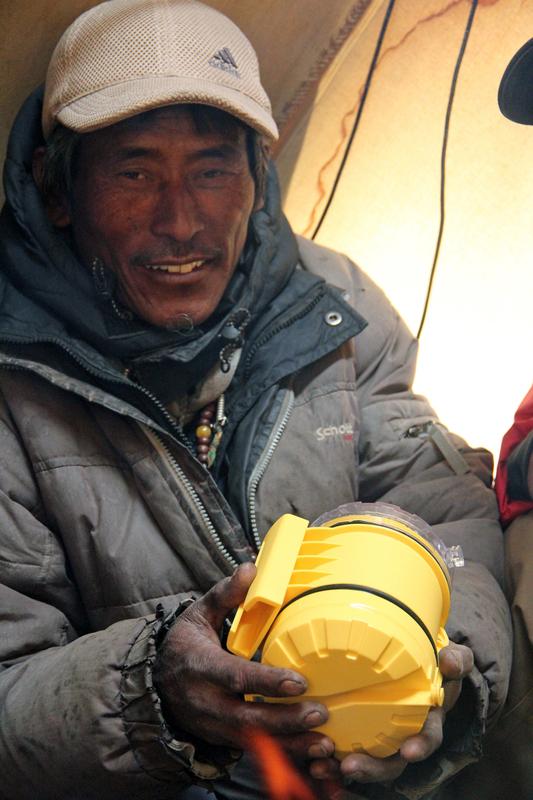 We installed one Foxlight at 4,300 m in Kunga Gurung’s corral in Kerken, then walked for five hours to reach Yak Kharka on the way to Thong-La pass. The next day, we installed another in Sonam Gurung’s goth at 4,100 m.
Kunga, the owner of 40 yaks, visibly expressed his happiness when he saw me later when we were both in Manang village. Kunga later knew that yaks were uneasy because they had smelled the snow leopard on the cliff. One of the fellow herders, who was descending down to the village, informed Kunga that he had actually encountered two snow leopards just 200 meters away from Kunga’s makeshift corral but on the other side of the cliff. “What a surprise though that night snow leopards did not dare come near to our goth!” Kunga excitedly shared. “ The Foxlight did scare the hell out of them! That was just amazing!” Kunga clearly sounded happy. “Foxlight is good as it does not constantly shine,” he said. Kunga is confident that Foxlight did deter night snow leopards from his alpine corrals that night. 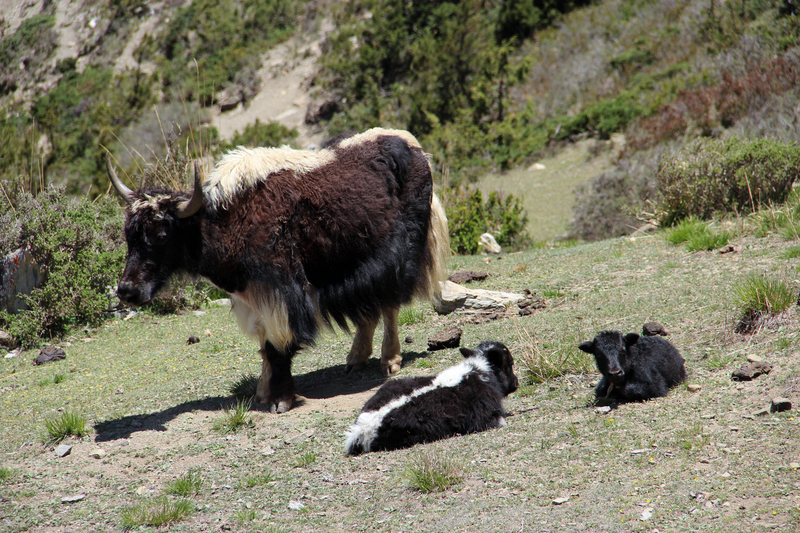 There are over 35 goths across Manang valley (an area of 600 square km), each with some 30 to 40 yaks. Herders from the villages in the valley graze their yaks in different pastures, spending at most three months at a time in a pasture. Kunga believes each goth should have a Foxlight or other effective deterrent device. “During the day, we must guard our livestock but at night Foxlight will guard them!” Kunga concluded. Please make a donation to help purchase additional Foxlights or Predator Guards so more herders can benefit from this innovative technology, thus saving more snow leopards!